PounceBet - Smart betting made simple. 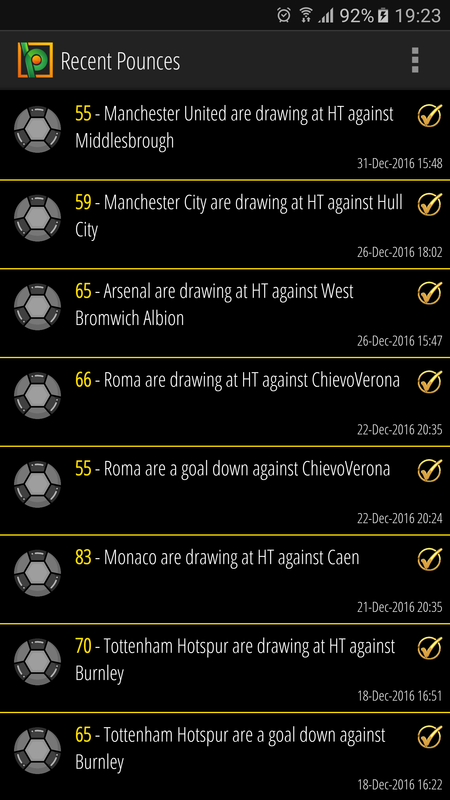 Our FREE app allows you to receive mobile notifications and bet with one click on the very best in-play opportunities, selected by our statistical algorithms. 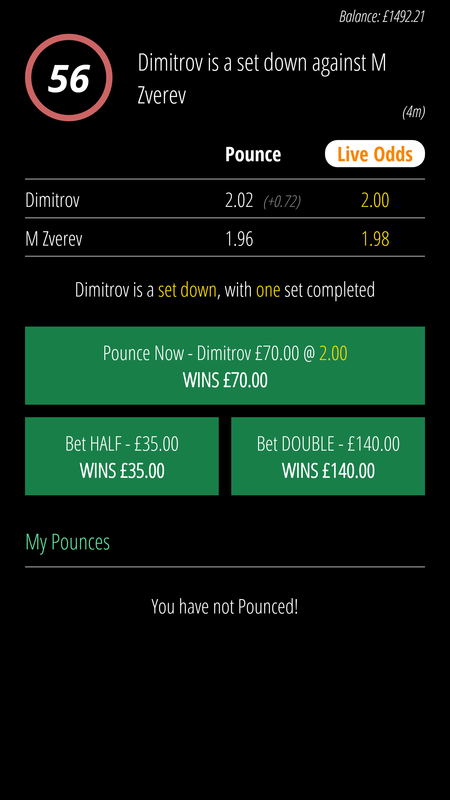 PounceBet - Smart betting made simple. 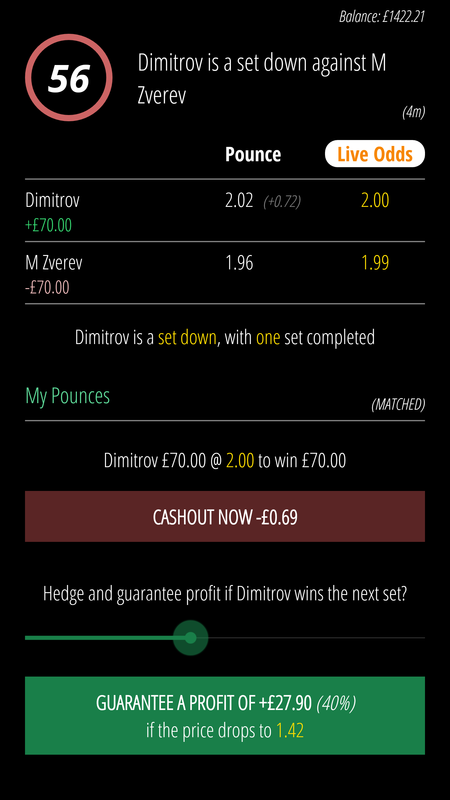 Our FREE mobile app allows you to receive mobile notifications and bet with one click on the very best in-play opportunities, selected by our statistical algorithms. 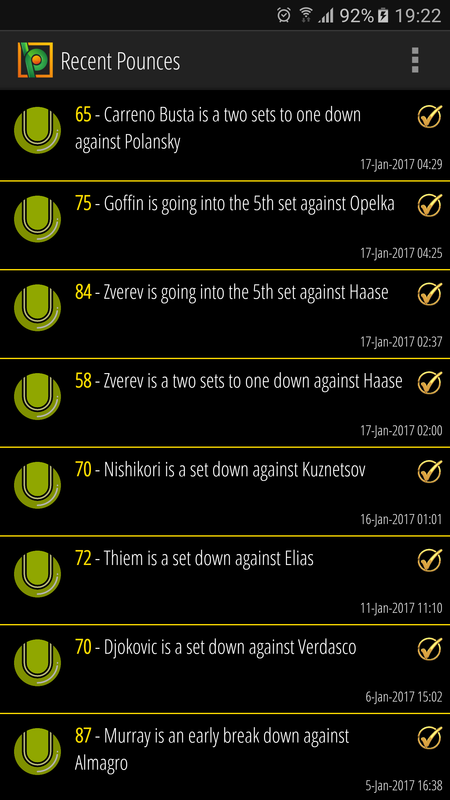 Since 2014, our unique system has been monitoring in-play matches taking place around the globe 24/7 in the search for "value". Our systematic betting model is grounded on favourites who are in losing/level positions. 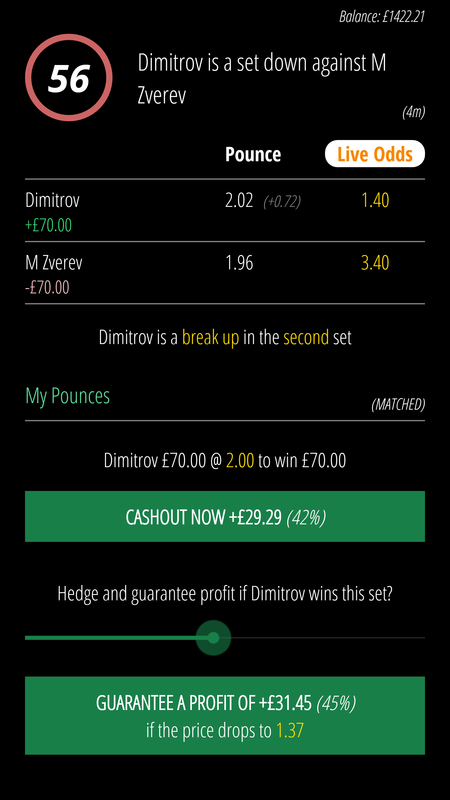 Once identified, our smart algorithms calculate the chances of a comeback/win based on a number of bespoke factors and backed by both historical and in-play statistics. The algorithm outputs a number out of 100, our PounceBet Index (PBI) and a betting decision - if it’s a yes, a “Pounce” notification is sent to your device. Once received, you can choose whether to bet on the market or not, and place bets directly on the Betfair Exchange from within PounceBet with a single click. 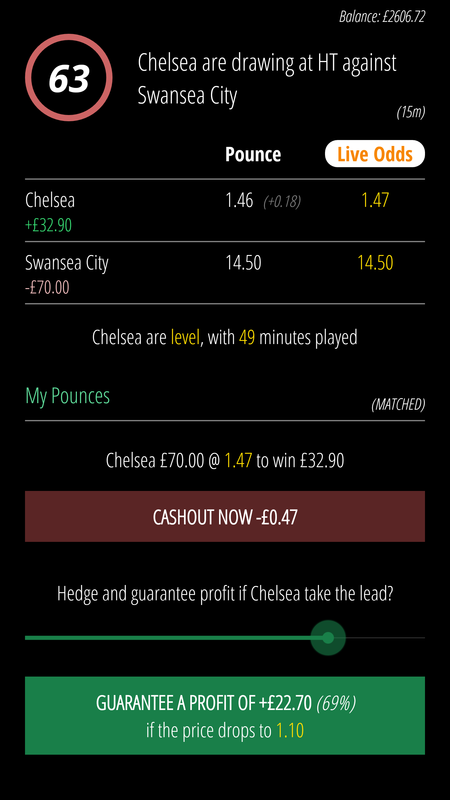 We have been certified by Betfair to allow you to securely link your Betfair account within our App. 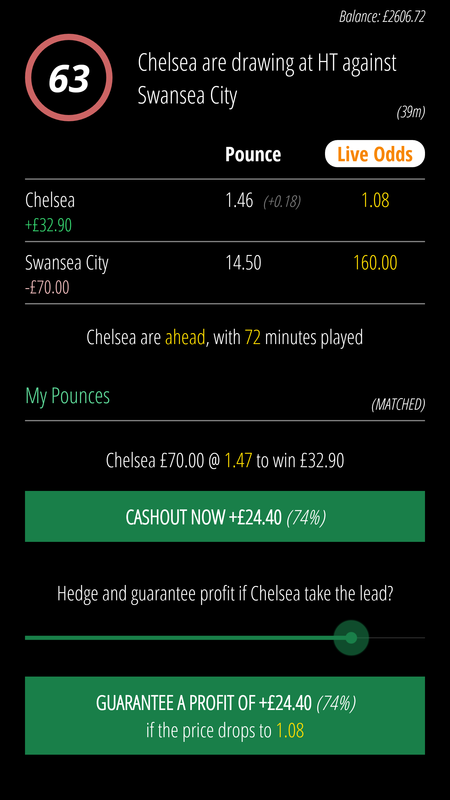 You can manage your bet through to completion from our App, including the use of our cashout and smart hedging features, allowing you to lock in a percentage profit in the future if the odds move in your favour.